If you're just fed up of you boring square shelving units, then its time to replace it with something cool, like an arctic bear maybe?! 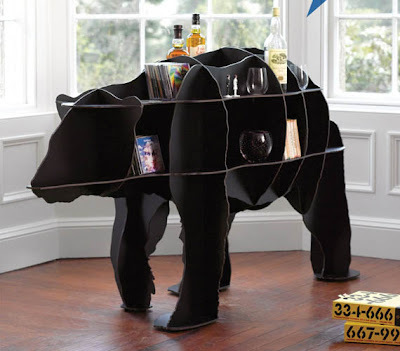 The Polar Bear Storage Unit makes a great multi-purpose shelf for books, DVDs and accessories. Or if you prefer something a bit more wild, you can use it as a cocktail cabinet.